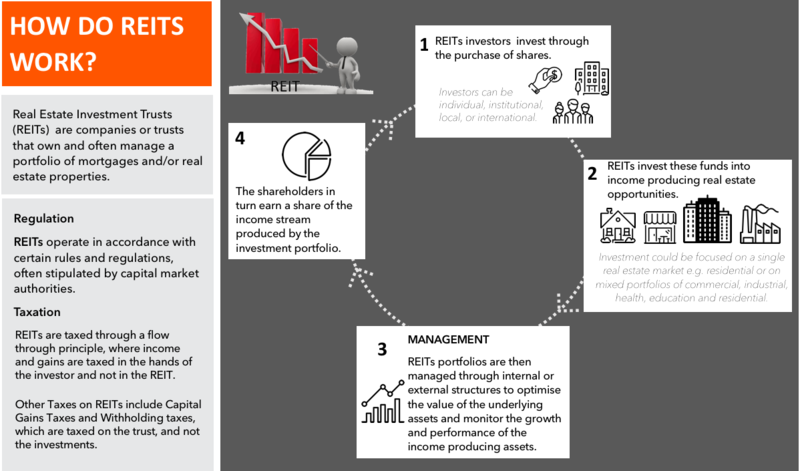 Residential Real Estate Investment Trusts (REITs) have emerged as an innovation in housing finance that has the potential to increase housing delivery as well as access to housing finance products. The Centre for Affordable Housing Finance in Africa, through its REITs project, has been tracking the impact of REITs on the housing finance markets of Africa since 2017. This includes a partnership with REBEL Group to conduct research on the potential of REITs to increase investment in and access to affordable housing in Africa. The dashboard displays information on the REITs that we identified in Nigeria, Ghana, South Africa, Tanzania, Kenya, Rwanda and Morocco, including: regulatory frameworks, legislation, and portfolio categories.